Improvements in the processes of electric vehicles and fleet management. The aim of Plug & Charge is the development of a comprehensive solution that streamlines and optimizes the current processes related to the recharging of electric vehicles. Furthermore Plug & Charge seeks to identify and provide new channels of communication to obtain information during the charging process and when the car is in motion. The intention is to close the circle between the different stakeholders involved or who might be involved in the management of fleet vehicle recharging. A new generation of recharging systems are being developed for electric vehicles that permit communication between the vehicle (based on the standard ISO/IEC 15118 or using private protocols) and the management system (based on the standard OCPP that provides an interface for the communication with the electronic vehicle based on the standard ISO 15118). The ultimate goal is to make available a management systems product based on a single standard protocol, that is in addition adaptable and can be customized and meets the business requirements marked within the project. This project is being developed in collaboration with AYESA (coordinator) and MOVELCO. 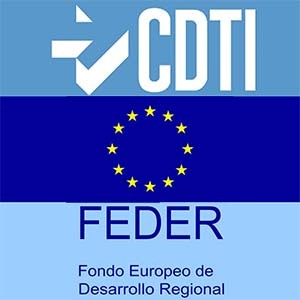 “Project co-financed by the Ministerio de Economía y Competitividad through the CDTI, and by the Fondo Europeo de Desarrollo Regional (FEDER)”.